Royce Lewis does not have any MLB stats for the season. Draft: 2017, Minnesota Twins, 1st rd. 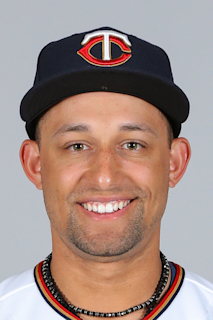 February 9, 2019 Minnesota Twins invited non-roster SS Royce Lewis to spring training. July 14, 2018 SS Royce Lewis assigned to Fort Myers Miracle from Cedar Rapids Kernels. March 16, 2018 SS Royce Lewis assigned to Minnesota Twins. August 12, 2017 SS Royce Lewis assigned to Cedar Rapids Kernels from GCL Twins. June 26, 2017 SS Royce Lewis assigned to GCL Twins. June 17, 2017 Minnesota Twins signed SS Royce Lewis.